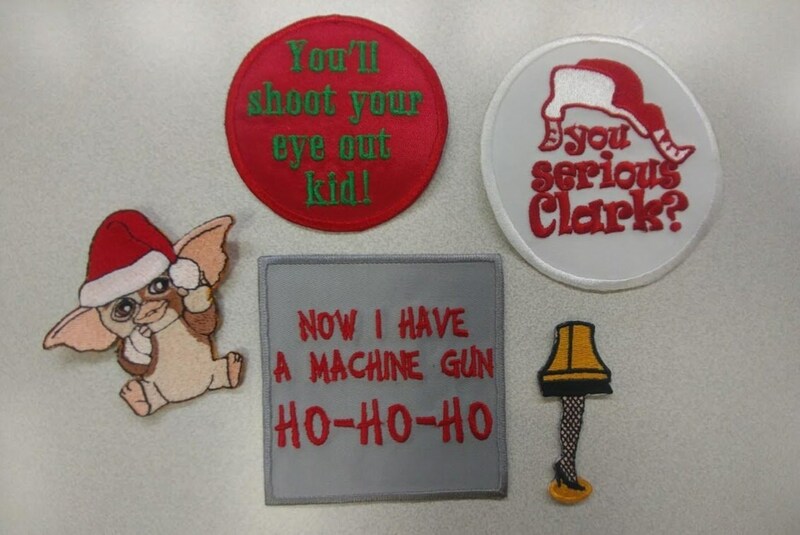 These cute 80's movie cult classics would be a great addition to your holiday cheer. 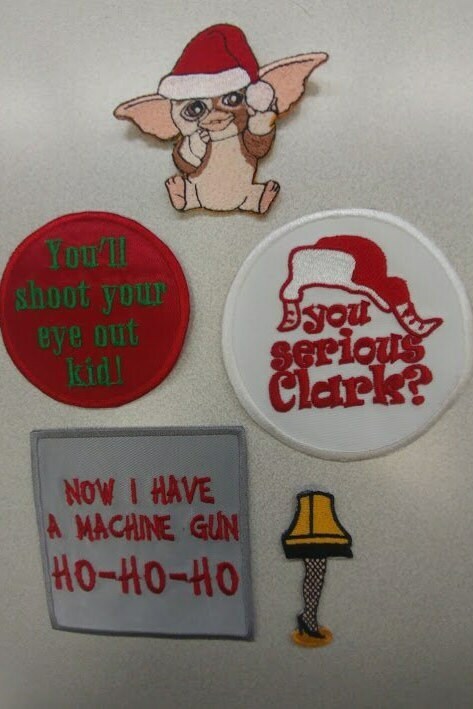 They would make great stocking stuffers, add to an ugly christmas sweater design, or decorate your stockings or other apparel. You can buy this package as a set, or buy them individually. 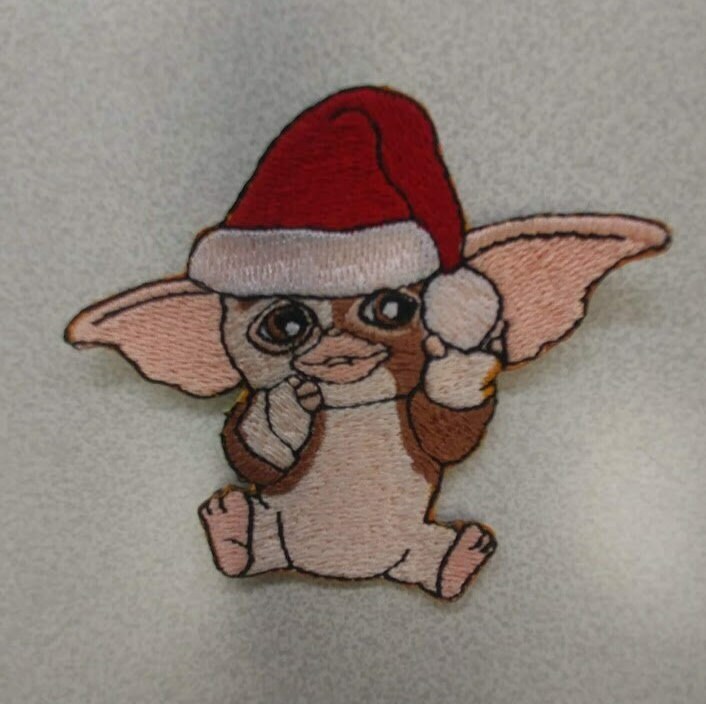 The gizmo patch is approximately 3.25"W X 2.75"H. It is sewn with bunny brown, off white, flesh, red, white and black thread. 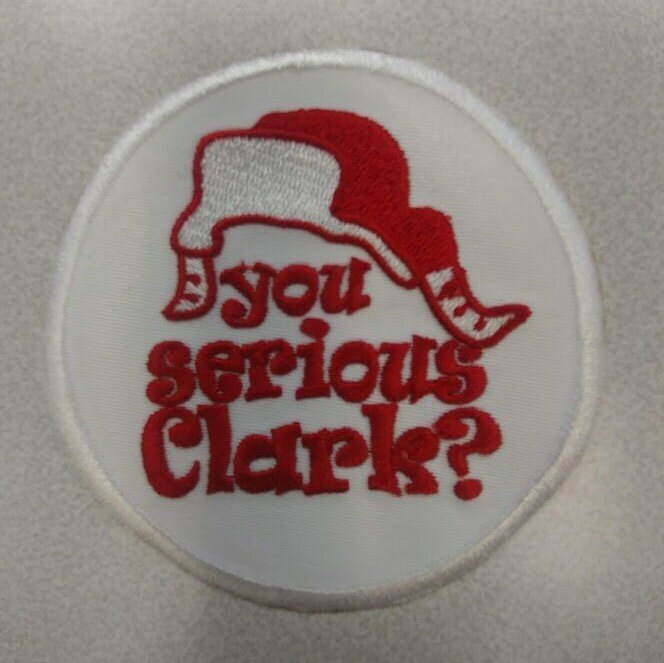 The "You serious Clark" patch is approximately 3.5" in diameter. It is sewn onto a white patch background with red thread and a white thread border. 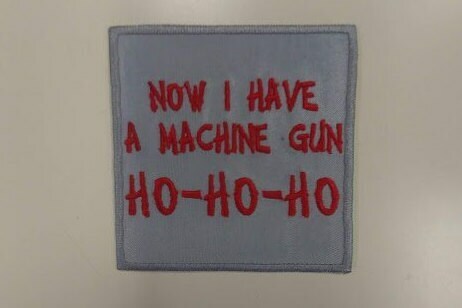 The "Now I have a machine gun patch Ho Ho Ho", is sewn onto a grey background with red thread and grey thread border. It measures approximately 3.25"W X 3.25"H.
This patch will ship 2-5 business days upon ordering.